I tried to build an APK (Android) in Cordova, build is successful so far so good! When transferring the file to my mobile I got error message during install “Installation is not possible, package is damaged”. 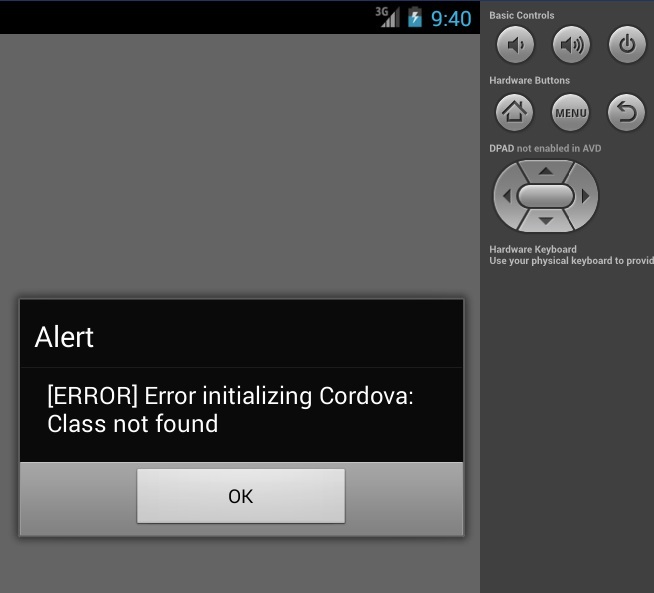 I created a new Cordova project and compared my “config.xml” file with the one in the project that failed. Found out that the “android-versionCode” is causing the problem. This is specified in the top of the config.xml. Remove that and the install is successful! Arbetat med en app till korkortsteori.se och suttit hela dagen och fäktats med en mobilapp skapad med Phonegap / Cordova. Det verkar alltså som att den annars inte hittar pluginen “Device”..